(NEW) MAR 2019: We will organise the Workshop on Recognition, Treatment and Management of Pain and Distress, and the EmoPain Behaviour Recognition Challenge at 8th International Conference on Affective Computing & Intelligent Interaction (ACII 2019) in Cambridge on 3rd-6th September, 2019. (NEW) MAR 2019: EPSRC Funded DTP PhD Studentships is available for UK or EU citizens. The deadline is 31st May 2019. If you are interested, please contact me as soon as possible for the application. 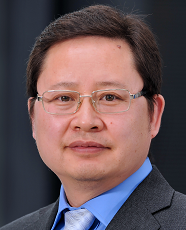 (NEW) FEB 2019: Congratulations to Fan Zhang who was recommended at viva voce examination for the award of the PhD degree subject to completion of minor amendments. The title of his dissertation is Music Emotion Recognition Based on Feature Combination, Deep Learning and Chord Detection. (NEW) FEB 2019: I was appointed as an Associate Editor for IEEE Transactions on Circuits and Systems for Video Technology (TCSVT). (NEW) FEB 2019: I was invited to give a talk with the title of Facial Expression Recognition in 2D and 3D Data at University College London. JAN 2019: Congratulations to Jingxin Liu who was recommended at viva voce examination for the award of the PhD degree subject to completion of minor amendments. The title of his dissertation is Brainwave-Based Human Emotion Estimation using Deep Neural Network for Biofeedback. DEC 2018: Our paper Superpixel-based Fast Fuzzy C-Means Clustering for Color Image Segmentation has been published by IEEE Transactions on Fuzzy Systems on 20th, Dec. 2018. The code can be downloaded here. Please click here for the previour news items. I have a wide research interests including digital signal processing, machine learning, human computer interaction, affective computing, computer vision, image processing and embedded systems. Intel Neuromorphic Research Community Project - Spiking Sparse Distributed Memory Model and Its Implementation on Loihi Architecture, PI, Aug. 2018 - Aug. 2019. Please click here for the deatiles of my research interests and research projects. For potential research students, please see the opportunities. (2018) Lei, T., Jia, X., Zhang, Y., Liu, S., Meng, H. and Nandi, A., Superpixel-based Fast Fuzzy C-Means Clustering for Color Image Segmentation, IEEE Transactions on Fuzzy Systems. [DOI] ( IEEE Online: Dec. 2018). [Code]. (2018) Zhang, Z., Chen, T., Meng, H., Liu, G., and Fu, X., SMEConvNet: A Convolutional Neural Network for Spotting Spontaneous Facial Micro-Expression from Long Videos, IEEE Access . [DOI] ( IEEE Online: Nov. 2018). Please see the full list of my publications and citation statistics by Google Scholar.